A young chemist recently graduated from New York University in 1935 realized he had more of a passion for people than he did for the lab. 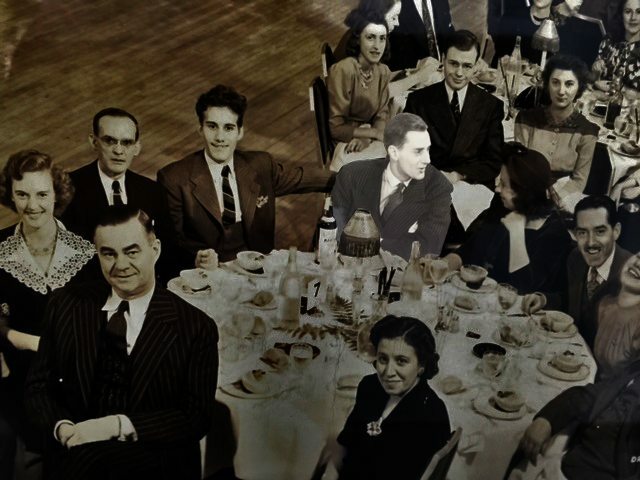 George Mutchler was born in 1910 in Bayonne, NJ and lived a semi-privileged but highly disciplined life among 6 brothers and sisters on West 8th Street in the shadows of the Staten Island Bridge. His father like his grandfather was a hardworking manager of the Erie Lackawanna Railroad Company. In all seriousness, education and careers were top priority for the all of the young Mutchler’s. Upon graduation from NYC, George quickly landed a job with the prestigious national distributor of chemicals, McKesson and Robbins. George learned to become a star salesman selling commodity chemicals to the mainstays of American manufacturing. So much of the success in sales back then was built on charm and relationships. Then came WWII and everything slowed down. 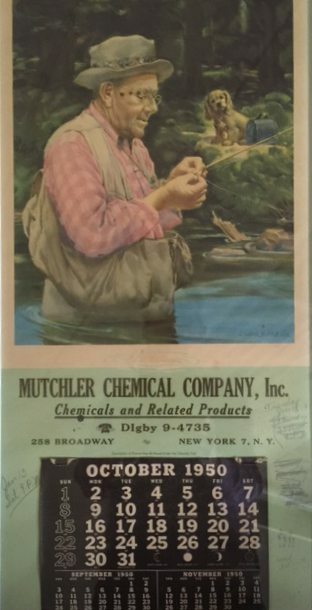 When the war was coming to its end in 1947, George Mutchler decided to go out on his own and founded Mutchler Chemical Company. “There was an order at the end of every phone call and telex” said George. He and his younger brother Howard Mutchler worked the sales and were supported in the office only by one “Girl Friday”. The office and the staff were minuscule, but the address of 258 Broadway, NYC and the name of the company were bigger than life. 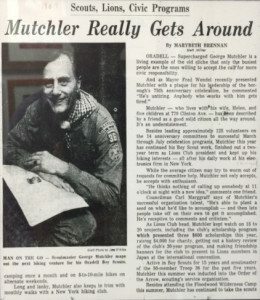 George Mutchler of “The” Mutchler Chemical Company became the ring and the business blossomed back in the 50’s and 60’s. Most of the business back then was brokered with some direct sales and a fair amount of export. Howard Mutchler became the international salesman and also began selling to Puerto Rico back in the early 70’s as pharmaceutical and chemical manufacturing on the island began to develop. 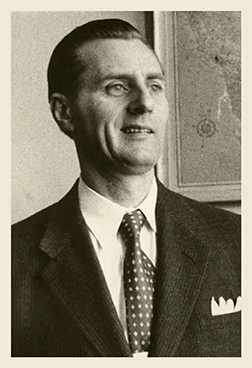 The first taste of pharma came to Mutchler Chemical in the early 1950’s when an executive of HMS Lactose from Holland took a streamliner over to NYC looking for an agent-distributor in the US. George was selected and thus began Mutchler Chemical’s long-standing adventure into the pharmaceutical industry. Mutchler Chemical launched Dutch Lactose in the US obtaining approvals at the big blue chips; Pfizer, Squibb, Upjohn, Park Davis, etc. George was obsessed with attention to detail and putting the customer first. With this formula and a very unique sense of charm and persistence, George Mutchler build the foundation of future success that all on Mutchler team enjoy today. In 1979 after more than 30 years, Mutchler Chemical moved from NYC to Westwood, NJ after Howard suddenly passed away. George pushed on with the business as the only salesman traveling all around the US and frequently to Puerto Rico, where the pharma industry was booming. In 1981, his eldest son Glenn Mutchler moved his family from the west coast back to NJ to begin in the business. Glenn’s wife Laurie also began to work part time while she raised 3 children. Never would she have suspected that one day she would become CEO. Glenn’s brother Dwight Mutchler entered into the business in 1990 after graduate school and a long stint in international advertising. Then came the computers, stricter pharma regulations and the hard work to build a product portfolio from the best suppliers in the market. A new world at Mutchler Chemical suddenly began to take shape. George passed away in 1996 continuing to work up until the last 2 months of his 86 years. His true passion was the company and the customers. He once said that one of the happiest days of his life is to see his two sons working in the business. That was the day that Glenn and Dwight began to work together. The business began to transform as did the US pharma manufacturing industry. There began a transition from industrial-commodity chemicals to specialty, high-functionality Excipients. In 1996, Mutchler moved away from the “chemicals” in its name to Pharmaceutical Ingredients. We discovered that we were best at providing solutions and service to the highly-demanding pharma manufacturers, and so began our niche and focus as Mutchler Inc. Pharmaceutical Ingredients. Many chemical manufacturers were also growing and realizing the potential of the pharma production market and were also starting up their pharma divisions. Mutchler Inc. seemed to be a natural fit for many of them as their partners in channel marketing, through growing co-marketing relationships based on transparency and trust. Today, Mutchler Inc. is proud of its 800+ customer base, 40 team players, premium portfolio of world-class suppliers and offices in New Jersey and Puerto Rico. The dream continues onwards with quality products and new services to enhance the value we bring to our customers, to our suppliers and our Team.